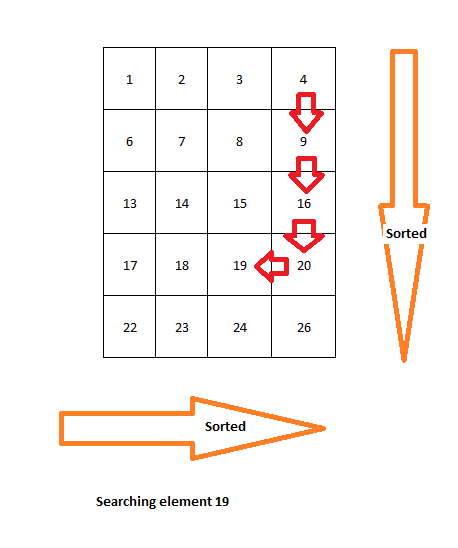 Objective : Write an algorithm to find an Element in 2 dimensional array where rows and columns are sorted respectively. 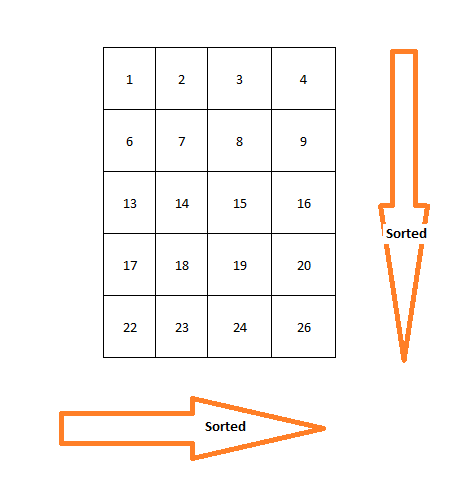 Input: A two dimensional sorted array, arrA. Previous story Find Whether Given String is palindrome or Not. 271 queries in 0.470 seconds.